Please, Skins, can we have some more … niceness? We won’t beat about the bush on this one: last week, we were pretty shocked to be asked by a natural skincare company whether negative feedback was ‘filtered’ out before we publish reviews submitted to us by our team of testers. Taken aback, we said no – that our reviewers are encouraged to provide both positive and (constructive) negative feedback on all products that we submit to them for testing – just like we do our Beauty Bible testers in our Awards. We only edit lightly for reasons of space, and without altering the overall sense of the report. The company, who had initially been interested in submitting a product for an upcoming themed ‘tried and tested’ feature article which we have been planning for a while, withdrew their interest and declined to submit a product. Actually, on reflection – it was the withdrawal that perhaps shocked us more than the question. We are in the skincare game, and we are hugely supportive of ‘free from’ skincare – and well labelled skincare – as we know how much it can help those who need or want to avoid certain ingredients, for any number of specific and personal reasons. Awards judges judging – fairly and constructively! But that doesn’t mean we are here to do that blindly. We are here to be fair, not to be nice, per se. We are here to give fair assessments on skincare products which we review (we ask our testers to test for around a month), so that readers can get a good idea of their qualities, any shortcomings, and whether they may like to try them out, assuming they are suitable for them. We are also here to give honest feedback to the manufacturers, where we can, in order to help them, and perhaps improve their products or their labelling, as they see fit. They are as free to ‘take or leave’ our thoughts as we are free to give our honest feelings about them. We try to be constructive. It’s hugely disappointing to be asked whether we deceive our readers by not giving them a complete assessment of what we think of a product. We can’t help asking ourselves why this might have happened. Do some other skincare sites and bloggers give good reviews as favours, and ‘spoil’ some cosmetic companies? 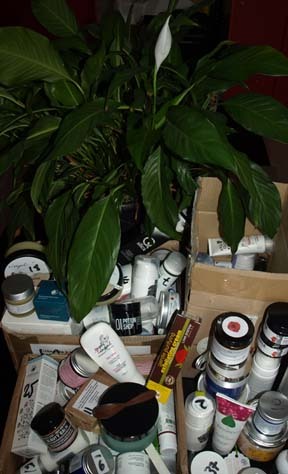 Do a few natural skincare manufacturers believe that they are deserving of preferential treatment, in some way? Writers, reviewers and natural cosmetic companies – do let us have your thoughts. Are we missing the obvious? Gluten-free skincare – a mixed blessing? 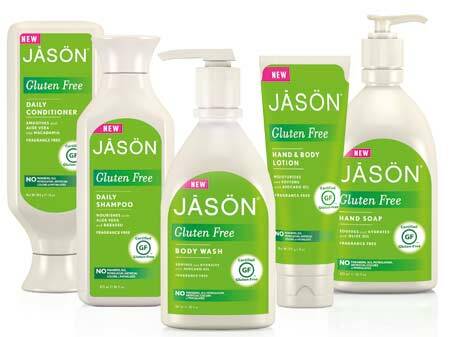 A new range of gluten-free skincare has been launched by JASON, and we currently (as of May 2014) have a competition to win the complete set on our SkinsMatter.com site. We’ve already covered the issue of gluten in skincare products in an article from a few years ago. In it, I explained that there is little research on gluten in skincare and its impact on those with gluten-related disorders, but that gluten in cosmetics is very probably safe for most – but that certain products (lipstick, hair spray) may carry a slightly more than negligible risk. One thing we do know, from years working in the ‘free from’ industry, and speaking to those with coeliac disease, is that many try to avoid gluten in skincare products. For some, with long histories of gluten having made them extremely ill in the years prior to a coeliac diagnosis, it is a ‘no brainer’. Many feel that such has been the toxic, detrimental effect of gluten on their lives, they simply don’t want it in their homes – be it in the kitchen, or bathroom. This is understandable. The science – or lack of it – doesn’t come in to it, when the response is this visceral. Who can really blame them? Something I’ve seen creeping into gluten-free food world is the occasional health promotion of gluten-free manufactured food at those who don’t have a sensitivity. While there are plenty of gluten-free foods which have terrific nutritional profiles, their qualities don’t depend on their being gluten-free! Although I obviously support everyone’s right to choose what they do and do not put into and on to their bodies, I’m personally less keen on manufacturers who try to swell the potential market for their products by implying that a safe-for-most ingredient could be more universally problematic than presently believed. JASON have not done this, I should make clear, but I’d hate to see ‘gluten-free’ becoming abused as a badge of virtuousness and purity in skincare as opposed to a simple reassurance for those who feel they need it. It’s something I think we should keep an eye on if the sector becomes established and expands. I also wonder whether the JASON gluten-free claim is ‘too loud’, with that larger font? It’s certainly more prominent than other ‘free from’ claims they make on labelling. Is that necessary? On one level – you could argue, yes. They certainly need to shout about the existence of the product, and we want them to, in order to raise awareness, and perhaps make other skincare manufacturers think along similar lines. But on another, those who live gluten-free may not strictly need it to be made so explicit. A more discrete mention of ‘gluten’ alongside other ‘free from’ mentions that one typically finds – parabens, SLS, mineral oil – is surely all that’s needed, ultimately. Perhaps, if this sector grows, that will happen, and ‘gluten’ will merely be ‘absorbed’ into other, more regular ‘free from’ messaging. That perhaps is the ideal goal. So overall, I think it’s a positive move, and we’re glad to see that JASON also specify that the products have tested at under 10 parts per million gluten. We’re all for transparency at SkinsMatter! As far as the wider skincare market goes, as well as gluten, what I’d really like to see added to ‘free from’ messaging are other ingredients which can cause serious reactions. The preservative MI (methylisothiazolinone) is among those, certainly, but I’m also keen to see peanut, tree nut and dairy free messages on skincare products. Many consumers would find this invaluable. We have tried to boost awareness with our Skincare Directory Free From Food Allergens, but it remains a struggle to fill this page with brands. Will we see change soon? I hope so. It’s a common grumble among the egg, nut, or dairy sensitive that gluten gets all the attention with free-from food. I’d hate to see skincare eventually mirror that situation. It’s really not hard to tell consumers that you’re nut or dairy free. Manufacturers: do it!